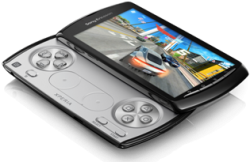 In other Sony news, earlier this week they announced the “the game changing XperiaTM PLAY” mobile phone. The good news is that this will run on Gingerbread (version 2.3). It will also be the first PlayStation certified device, which means that it will be able to access PlayStation online games content. The bad news is that this content is not scheduled to become available till later in the year. But you should be able to listen to Sony’s Music Unlimited music streaming service.